Rogue once again put together a race that allowed all levels of fitness and skill to enjoy 24hrs of racing in challenging and beautiful country. 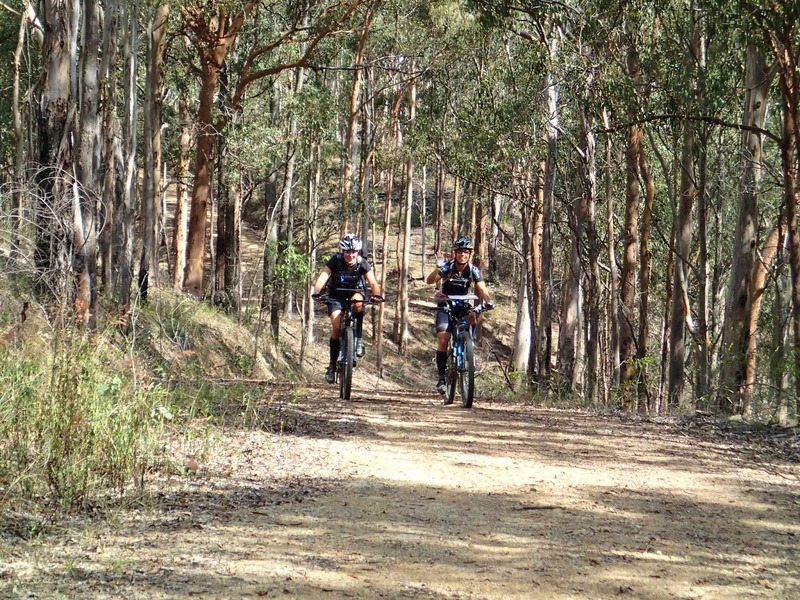 Adventuregaine format racing allows competitors to choose their own adventure with each team choosing which route and what cps they will collect, we always try to get the most adventure possible with the fitness levels that we have. With fantastic maps and all the checkpoints in the right place (this is definitely not the case with every adventure race) this race is one of our favourite races each year. It's only taken 6 or so years but I think I have finally nailed this contacting business, double sided A3 not a wrinkle to be seen. A mechanical problem for Jan from Tri Adventure Aunties at the start saw their race delayed while they swapped pedals and gear after Steve the race saver lent Jan his bike and did the 6hr with no front breaks, bet that made for an exciting race Steve! The first stage was a mountain biking leg with the ominous title of "What goes up..." it surely lived up to it's title. Navigation on this section was straight forward the terrain was not. We meet part of our Adventure racing family the Tri Adventure Aunties Jan and Kim up near cp7, we crossed paths with the Aunties many times over the race, always nice to see these ladies who have taught us so much about adventure racing and have such great passion for the sport, not to mention skill - coming in 1st in the womens category and 12 overall. The atmosphere at TA22 had a family picnic like feel. The second leg; a trekking leg titled "Northbrook Gorge" With that title we had to include the gorge in our trek and had pushed through the previous leg in hopes of getting to the gorge in the daylight .Our trek route, found a great route up to 27 and then on to the road, we did 28 on the way back as knew we would come past 28 on our way out. I decided I didn't want to have to hike in wet clothes so stripped off to my underwear for the swims, then realised that my pack was wet and if I put my clothes back on they would be saturated in no time, solution - do the rest of the creek walk in my undies and gaiters, I felt like jungle Jane! We collected a few more check points on the way back to TA22 where we had some boiled eggs and cheese and Vegemite sandwiches washed down with coconut water. Back on the bikes for the next installment "...must come down" arriving at HQ by 3am ready to head out on a quick trek to the kayaks waiting for us on the banks of the Brisbane river where we were greeted by the effervescent Michele with greatly appreciated instructions on how to get in the kayak and keep our shoes dry, it's the small things that make a big difference! 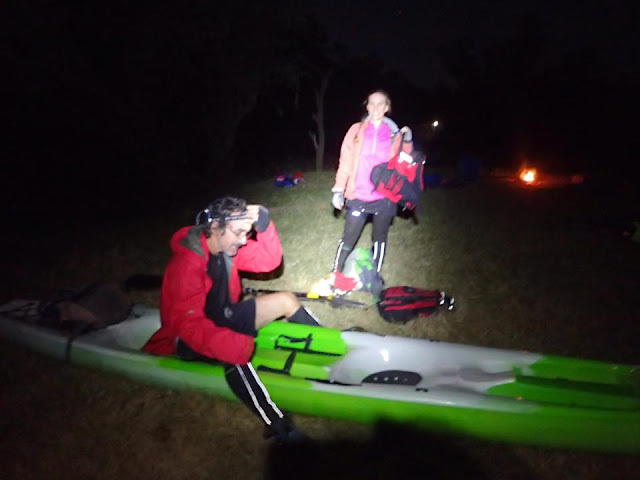 When we set out at about 4am it was very misty making choosing the right line on the swift water sections tricky as we couldn't see them till we were on top of them, the kayaks were great to paddle (so much better than the infamous red Toy Boys!) Andrew didn't complain once on the paddle, that's one for the record books. I don't think we were getting the 8km per hour out of it that Gary and Ray were except when we got sucked into the draft behind Steve and Lasse for a couple of hundred metres after they overtook us. Steve and Lasse paddling up a storm, we got overtaken by these guys multiple times in every leg. 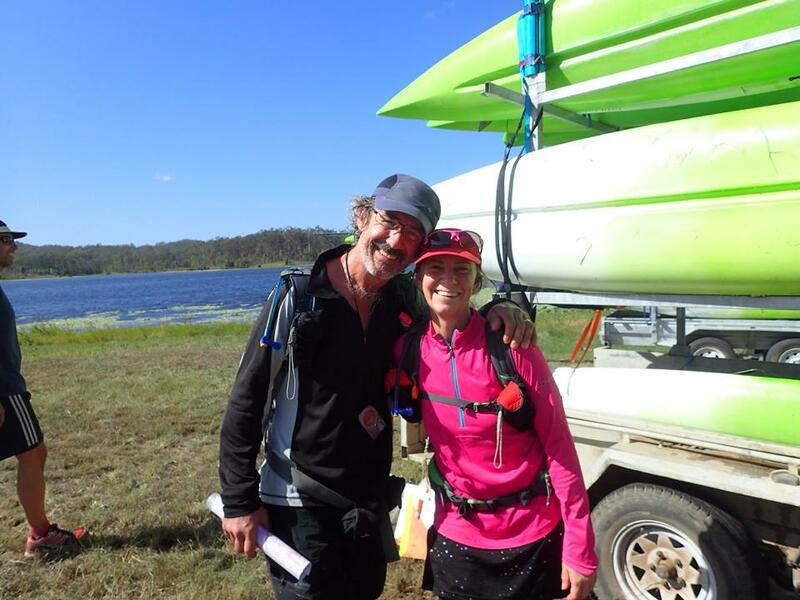 They looked strong every time we saw them and always had smiles on their faces, I think they like adventure racing! First ever adventure race for these two and they came third overall. Mike and Mandy just heading back after the paddle leg on Lake Manchester looking way to good for a couple who have just done a 24hr adventure race and come 4th in their category! We decided that with the wind picking up and only 45mins left we wouldn't have time for a kayaking cp so headed back to HQ, it pays to get back to HQ on time as you loose 10 points for every minute you are late. At the finish line, 23:15 of racing, 21st over all out of 47 and 6th mixed veterans, time for some food and a power nap before heading home. A tough race that we thoroughly enjoyed.